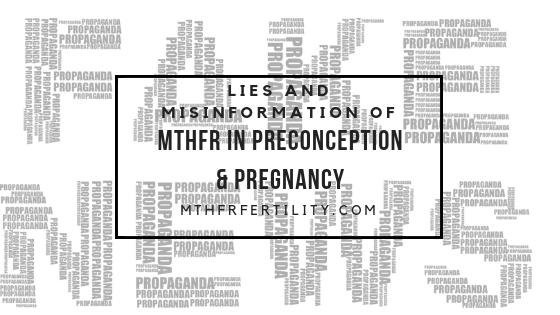 You know I get really annoyed about the misinformation being spread to people surrounding the MTHFR gene in preconception and pregnancy. I can’t tell you how often I hear people giving advice online and I think “No don’t listen to that! It’s rubbish”. I totally understand that many doctors and practitioners just don’t have the time or inclination to really delve into the complexities of the MTHFR gene, but what I really hate is them giving advice that is just plain wrong. Likewise, people on websites that tell people to not worry, and that everything is fine – when it may not be. I totally understand that they are trying to help, but they shouldn’t be giving advice if they don’t know. Now I’m not saying that everyone with the MTHFR gene will have a problem conceiving, but what I am saying is that you have to consider exploring what this may mean for you. You can’t assume that everything is fine can you? You are, after all, talking about the health of YOUR baby are you not? I’m sure that most of you are aware that the MTHFR gene can affect the level of folate. So what?! I hear you saying! Well do you remember why folate is so important? Read our article “What To Eat If You Are Low In Folate” for more information on how to increase your folate levels. Recurrent miscarriages: this is a heartbreaking condition. I do see in a lot of women and couples who have the MTHFR gene. It’s not uncommon to see someone who has had 5 or 6 miscarriages and who’s mother had the same. If this is familiar to you then my preconception course may be of interest to you. Researchers suspect that it’s due to low folate levels which, among other things, causes a build up of homocysteine (which can also affect blood clots). Preeclampsia: which is life-threatening high blood pressure in the mother, and may also be linked with/ cause a separation of the placenta from the wall of the uterus, smaller birth weights in babies and recurrent pregnancy loss. This seems to be more heavily associated with both the A1298C and the C677T mutations. Blood clots: one thing that I often see is a connection between blood clotting genes like Factor V Leiden and the MTHFR genes. We suspect that these blood clots happen near the placenta which blocks the flow of nutrients to the baby early in its development, potentially resulting in miscarriage. So what’s the upshot of this message? You then need to make sure that you are preparing for pregnancy with your MTHFR results in mind. In my experience helping many people fall pregnant with the MTHFR gene, you have to prepare properly for pregnancy so that you pass on the best genes to your baby. Everyone has stress, and everyone is pushes their limit every day. This is why we need to take this seriously. 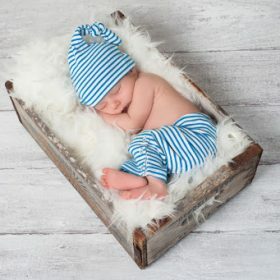 Even if you don’t have the MTHFR gene you have to make sure you have good folate levels, because your baby may harmed if you don’t have good levels. So please don’t listen to people that say “Oh it’s ok, don’t worry about it”! Become educated, find out for yourselves, your body, your future children and ask an expert. This entry was posted in development, Infertility, MTHFR, Preconception, Pregnancy and tagged infertility, MTHFR, Preconception, pregnancy.